John Calvin (1509-1564) was one of the main Protestant Reformers of the sixteenth century. His thought spread worldwide, and today he is still looked to for theological insights and as a guide to Christian faith by millions of people. In this book, one of the world's leading Calvin scholars, Willem van 't Spijker, provides a compact guide to Calvin's life and the main elements of his thought. Van 't Spijker bases this work on the best contemporary scholarship. 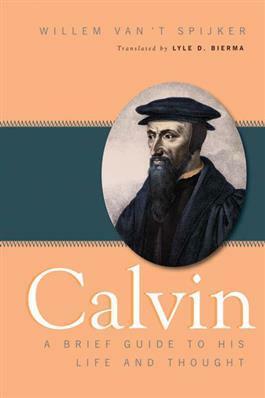 By tracing Calvin's influence, he shows both the development of Calvin's thought and the ways in which it was important in his time and later. This book will be an excellent introduction to Calvin's life and thought for both beginning students and those already acquainted with Calvin's work.